Parents should provide children with a nourishing, well-balanced diet. Very sugary diets should be modified and continuous snacking should be discouraged. Oral bacteria ingest leftover sugar particles in the child’s mouth after each helping of food – emitting harmful acids that erode tooth enamel, gum tissue, and bone if left unchecked. Space out snacks where possible, and provide the child with non-sugary alternatives like celery sticks, carrot sticks, and low-fat yogurt. Though pacifier use and thumb sucking generally cease over time, both can cause the teeth to misalign. If the child must use a pacifier, choose an “orthodontically” correct model. This will minimize the risk of developmental problems like narrow roof arches and crowding. The pediatric dentist can suggest a strategy (or provide a dental appliance) for thumb sucking cessation. Sometimes, parents cleanse pacifiers and teething toys by sucking them. Parents may also share eating utensils with the child. Harmful oral bacteria are transmitted from parent-to-child in these ways, increasing the risk of early cavities and tooth decay. Instead, rinse toys and pacifiers with warm water and avoid spoon-sharing wherever possible. Sippy cups are an excellent transitional aid for the baby bottle-to-adult drinking glass period. However, sippy cups filled with milk, breast milk, soda, juice, and sweetened water cause small amounts of sugary fluid to continually swill around young teeth – meaning continuous acid attacks on tooth enamel. Sippy cup use should be terminated between the ages of twelve and fourteen months – or whenever the child has the motor capabilities to hold a drinking glass. Cavities and tooth decay form more easily between teeth. Therefore, the child is at risk for between-teeth cavities wherever two teeth grow adjacent to each other. 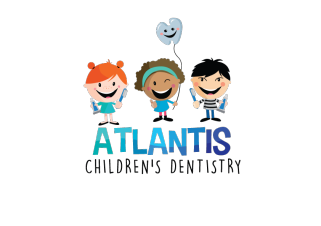 The pediatric dentist can help demonstrate correct head positioning during the flossing process, and suggest tips for making flossing more fun! Fluoride helps prevent mineral loss and simultaneously promotes the remineralization of tooth enamel. Too much fluoride can result in fluorosis, a condition where white specks appear on the permanent teeth, and too little can result in tooth decay. It is important to get the fluoride balance correct. 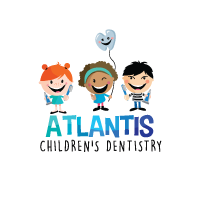 The pediatric dentist can evaluate how much the child is currently receiving and prescribe supplements if necessary.